Philips Consumer Lifestyle is a division of the Dutch multinational electronics company Philips which produces consumer electronics and small appliances. It is the only Philips division headquartered in Amsterdam, the Netherlands. The bulk of the division’s consumer electronics activities were sold to Funai Electric Co. in January 2013. Philips Consumer Lifestyle was formed in 2008 from the merger of Philips Consumer Electronics and Philips Domestic Appliances and Personal Care. Philips receives royalties from the sale of every DVD and Blu-ray. 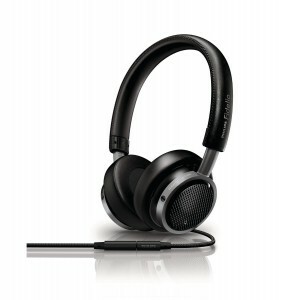 Designed for the thrill seeker, the Philips O’Neill CRASH Headphones are the toughest headphone Philips has ever created. Not only can they withstand 1.5 tons of static force, they also deliver mind-blowing sound in high-def quality. If you’re the adventurous type who lives life to the extreme, these headphones are along for the ride. Metal chambers, reinforced connectors, tough fabric cable, and a TR90 flexible headband ensure durability and comfort whether you’re enjoying tunes at the beach or rocking it along the ski slopes. The CRASH has acoustically tuned 40-millimeter neodymium drivers for precise clarity and deep bass to get you in the zone. And when you’re not rocking out to music, use the Chill Mode to wear the headphones comfortably around your neck. 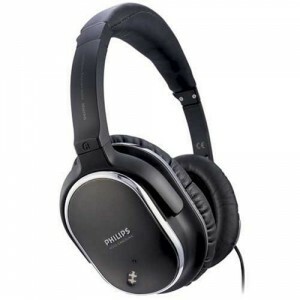 The Philips SHN9500 Active Noise Canceling Headphones blackout irritating background noise and allows you to enjoy your music in peace. These premium range headphones actively cancel background noise by as much as 85% and are Ideal for travel use in airplanes and trains. The Philips Fidelio L1 headphones meet the highest standards of sound and comfort, so you can have a truly authentic listening experience. Expertly engineered for natural sound as faithful to the original as possible. And carefully built for enduring comfort. Philips Fidelio M1i on-ear headphones for iPhone, iPod, and iPad combine superior sound and comfort to deliver true-to-life music while you’re on the move. Thanks to masterful engineering, you get superb noise isolation, true high-definition audio, and a light yet sturdy design. Immerse in high precision sound with MusicSeal to keep your music yours. Inspired by cities & savvy urbanites, the retro-mod CitiScape Uptown lets you immerse in high precision sound with MusicSeal to keep every beat to yourself. Plus, memory foam cushions & an air-quilted headband ensure comfort & perfect fit. Pure sound, wired or wireless. 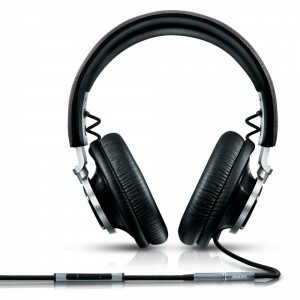 This headset features superior drivers, and the digital enhancement deliver booming bass and clarity of sound. With deluxe FloatingCushions that allow for full multi-directional adjustment of earshells, definitely ideal for pleasurable listening wired or wirelessly. The Bluetooth stereo headset works with any mobile phone that is compliant with Headset Profile (HSP) and Hands Free Profile (HFP). The headset features Bluetooth version 2.1, but will also work with devices like notebooks, PDAs, Bluetooth adapters, and MP3 players featuring other Bluetooth versions that support HSP, HFP, Advanced Audio Distribution Profile (A2DP), and Audio/Video Remote Control Profile (AVRCP). 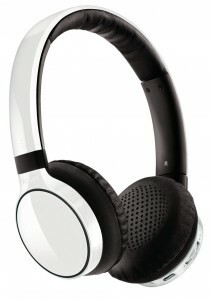 The Philips Bluetooth Stereo Headset easily switches between hands-free calling and wireless music. The Philips Bluetooth stereo headset also gives you the option of listening to music on non-Bluetooth devices via the included audio cable. High-quality drivers and speakers deliver digitally enhanced sound for superior bass and optimum clarity. 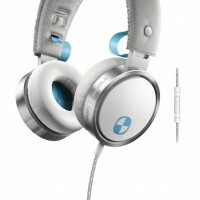 Floating Cushions allow for a full range of adjustments, and a slim headband design ensures comfortable long-term wear. 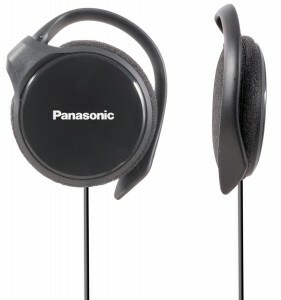 For easy storage, the ear shells twist so the headset can be flat-folded for mobility. The Bluetooth stereo headset features smart controls for quick and easy toggling between calls and music, as well as for adjusting volume and changing tracks. 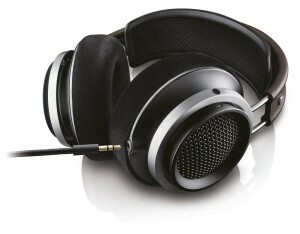 The SHB9100 is very comfortable and stable. comes equipped with soft memory foam ear cushions that feature a multi-directional floating mechanism for automatic adjustment according to the shape of your ears. 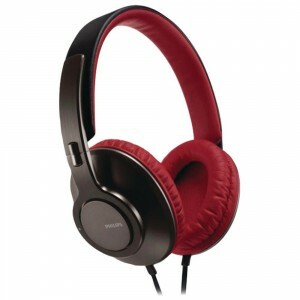 The headphones distribute pressure evenly to ensure a more comfortable fit and to make a complete seal around the ears. The cushions are also angled to minimize sound leakage for an immersive audio experience without interruption or distortion. 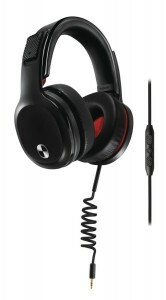 Extremely tough headset with dynamic sound. 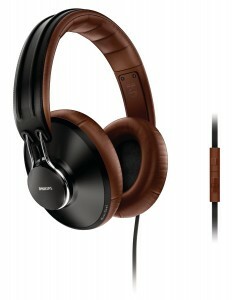 This is a headphone for those who work and play hard. 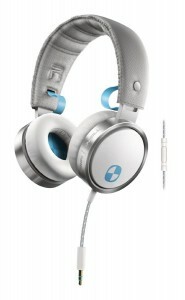 Explosive sound with deep bass and one of the toughest headphones around. Super flexible TR90 headband and the longest cables.